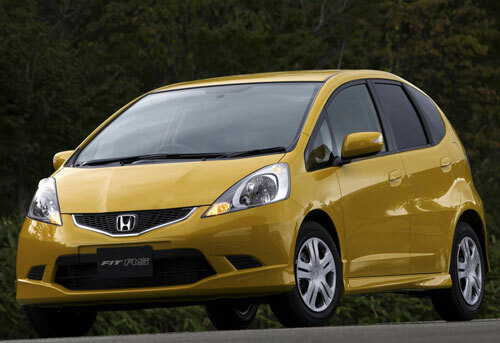 New Honda Jazz - "R u Jazz enough?" Submitted by peter on 20 March, 2008 - 21:10. Submitted by peter on 13 February, 2008 - 16:16. Test drive reports are really not all that useful. I would never buy a car simply because I read a review from someone who thought the car was great. Yet sometimes it is useful to read other opinions to help us form our own thoughts more completely, and make well rounded decisions. In the past I'd avoided testing cars, but since I'm currently looking around for a car myself, I might as well present some of my opinions here, as they might be of some help. But to make this one a little more interesting (or even less useful) I would like to present it in the form of a poem. Submitted by peter on 26 January, 2008 - 18:57. A few months ago Honda showrooms had CR-V, Jazz, Civic and City cars on display, and the notable absence of Accords at that time looked like a clear indication that the space was waiting to be filled with the all-new Accord. Well, that proved to be accurate, and a few weeks after I noticed the lack of Accords, the new ones popped in. Well, right now there are less and less Honda showrooms that feature the Jazz, which leads me to believe that we are probably getting very close to the launch of the new 2008 Jazz. Submitted by peter on 26 December, 2007 - 12:17. A picture tells a thousand words, and a video is even better. Here is a promotional video of the 2008 Fit, which will give you a very clear indication of the Jazz that will be arriving in Thailand early next near. For more information and details on the 2nd generation Honda Jazz, you can check out this preview article. Submitted by peter on 21 December, 2007 - 12:09. 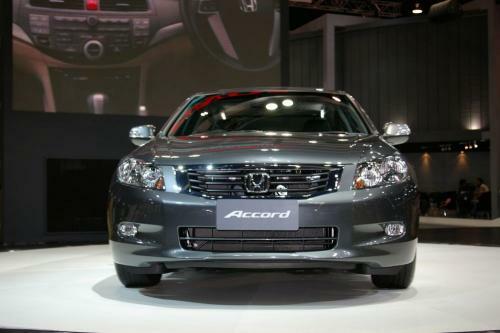 As you know Honda Automobile Thailand have already announced the price drop for their E20 compatible cars. These price changes take immediate effect, and Honda will even retroactively apply the price drop to customers who made recent bookings. So that's good news. Submitted by peter on 12 December, 2007 - 21:47. If you are in the market for a new Honda just wait a few weeks and you'll save yourself between THB 30,000 and THB 110,000 depending on the model you are aiming at. The reason? On 1st January 2008 the government's tax reduction on E20 capable cars will come into effect, and Honda will be one of the companies to benefit from the 5% excise tax reduction, and it looks like they intend to convert this directly into lower prices. Get used to this face. Judging by the reaction to the car at the Expo there will be a bunch of them on the roads very soon. Accord isn't bad looking. The front is quite conservative. Like the Camry! The Accord is a crowd pulling machine. But is it really all that cool?